01.20.2012 Eblast! | Gallery Artist Spotlight | Outsider Art Fair: Programs Announced! 01.20.2012 Eblast! 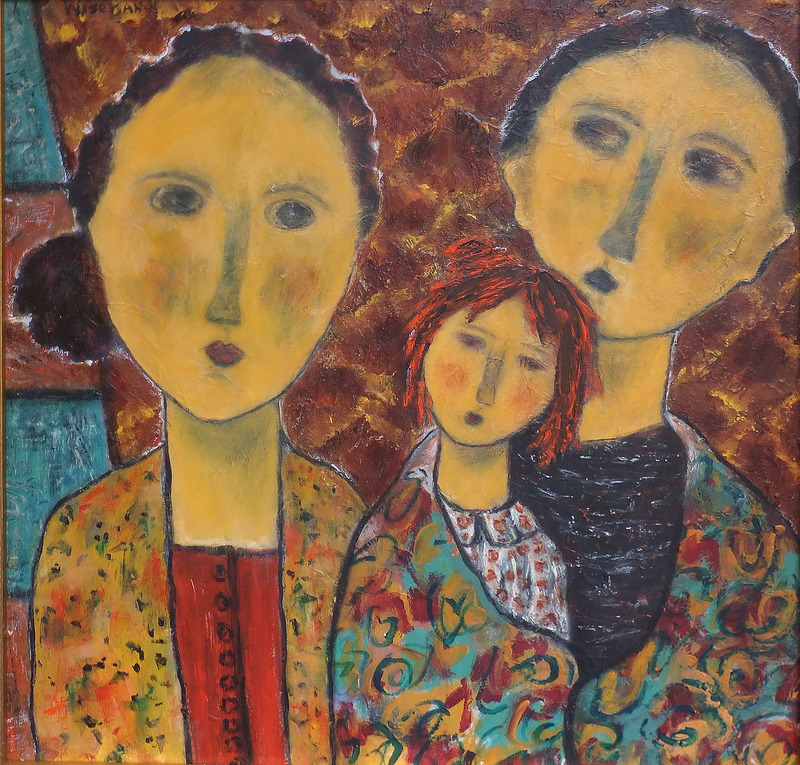 | Gallery Artist Spotlight | Outsider Art Fair: Programs Announced!. 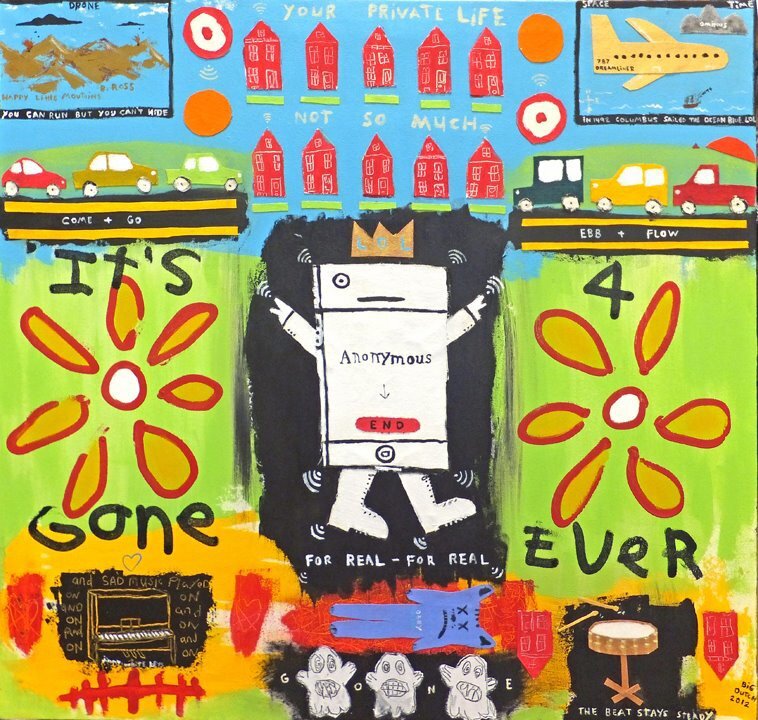 Love, Loss, Good Times and G(h)oasts have inhabited the work of David “Big Dutch” Nally since we met him in early 1991 at Freedman Gallery, Albright College. Nally’s re-accuring themes and rants about current events create artwork that captures memory and nostaglia in a lyrical and colorful array. Mark your calendars for amazing art from all over the globe! 01.13.2012 Eblast! 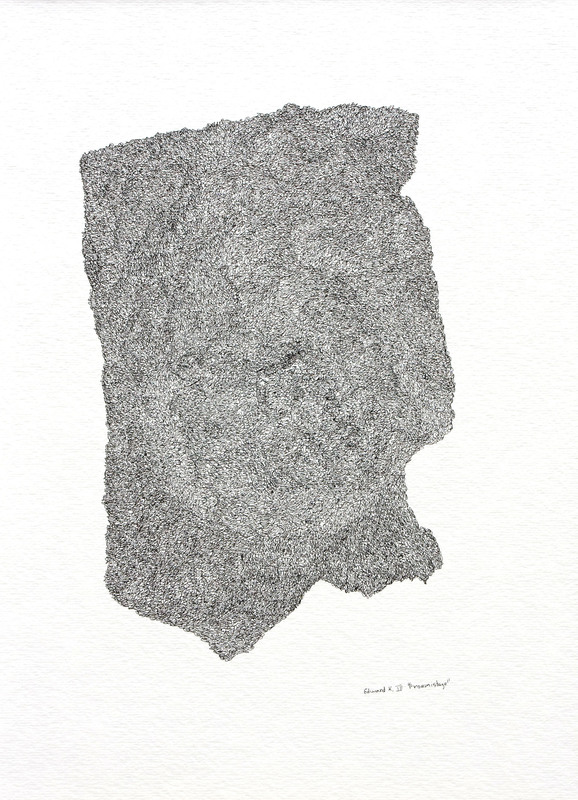 | NYC in January | Gallery Artist Spotlight | Outsider Art Fair News. As Americana Week(s) are set to begin in a few days, we can’t help but get excited about all that is going on this month in NYC. We just got back last week from the amazing and intense deKooning Retropective and Diego Rivera Mural Exhibition at MoMA. 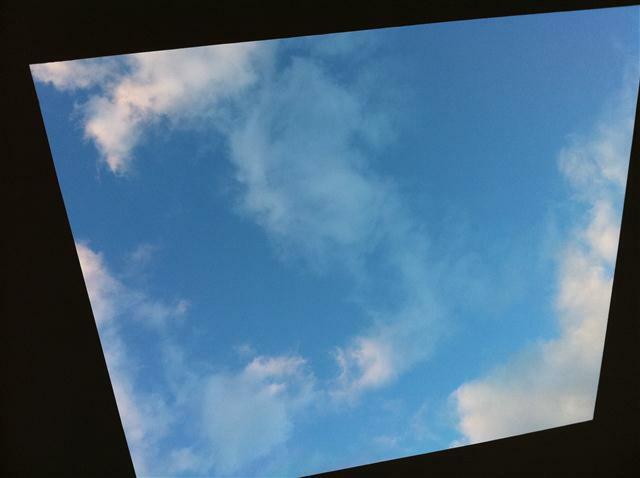 We took a side trip to PS1 to check out some Emerging & Contemporary Art as well as soaking up some sky at James Turrell’s ongoing piece “Meeting” (below). After packing up our art for the Outsider Art Fair next week, we are treating ourselves to a visit to The Metro Show, including booth talks by Allan Katz, Ricco Maresca, and a walking tour with James Brett (Museum of Everything). 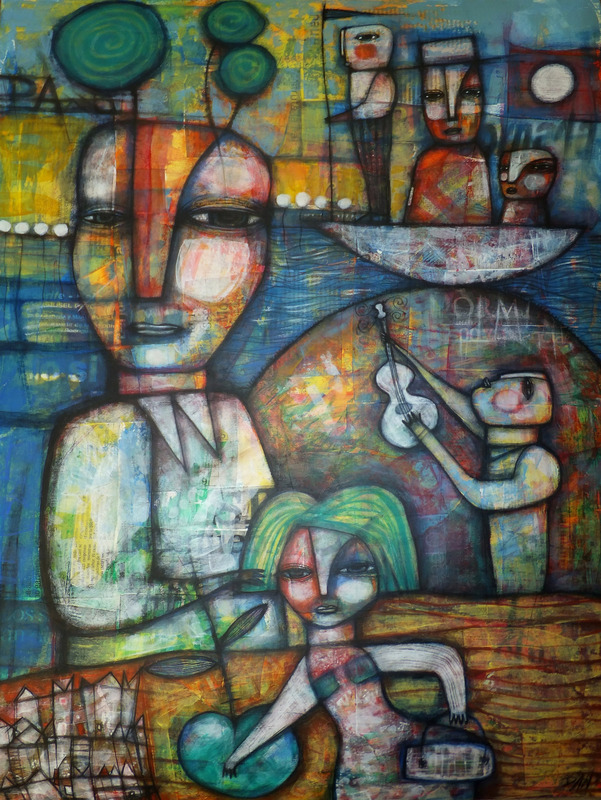 We will be thrilled to visit Luise Ross Gallery for the Jose Rivera Exhibit and the opening reception of Dubuffet and Art Brut at Ricco Maresca. Can’t wait to see everyone in NYC! Ex. André Breton, gift by Jean Dubuffet, 1947/1948, 19 1/4″ x 25 7/8″, P.O.R. We are happy to announce that this lovely example will be featured in the catalog raisonné which will be published online at Fondation Aloïse by the end of April 2012 for the exhibition “Aloïse: The turn solar” taking place at the at the Collection de l’Art Brut from June-October 2012 and June-August 2012 at the Musée Cantonal des Beaux-Arts. Harriet starts her work by blindly putting oils on a blank canvas, waiting for the canvas to reveal what is locked inside. She slips into an almost trance-like state and then throws herself into her work. She has no idea when she begins, what the end result will be. Most of the women and girls in the paintings have the familiar olive-shaped mouth and triangular-shaped face of the artist. Comparisons are always made with the great artists, whether they were trained or self-taught. Sometimes, the elegant forms of Modigliani or the screaming compelling colors of Soutine can be suggested in Harriet’s work. Like many self-taught artists, The paintings are honest and passionate – perhaps reminiscent of German Expressionism with tenderness and feeling. In her work there is a colorful patterning of clothing, drapery and fabrics, which make the paintings lively and almost fly off the canvas. 12.30.2011 Eblast! End of the Year wrap-up | Gallery Artist Spotlight | Outsider Art Fair Artist News. We would like to thank all of our friends & the Goggleworks Center for the Arts for all of their support during this eventful year. We look forward to continuing our journey and wish everyone a safe and jubilant celebration as we end 2011. 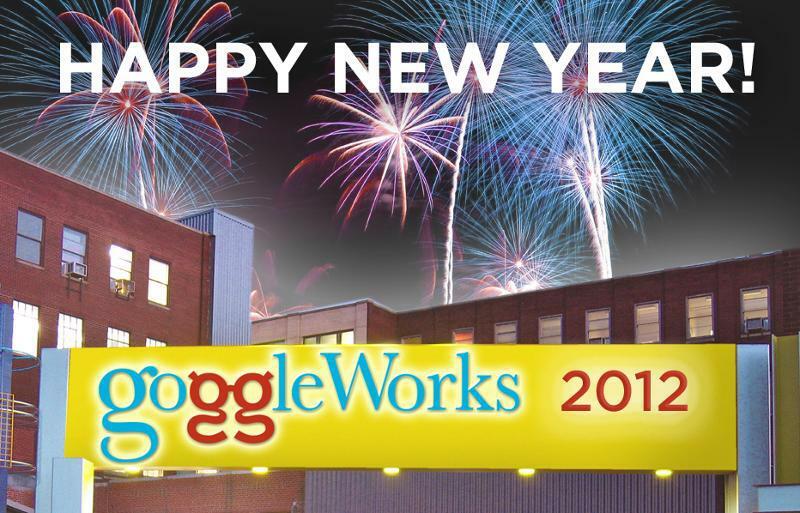 Please note both the gallery and Goggleworks will be closed January 1, 2012. Edward A Kingsbury III is an intuitive artist who expresses himself to find new imagery to portray his interpretation of life. The works are a peaceful and meditative focus. Life consists of many restrictions and boundaries art is the medium where Edward finds freedom. Edward believes that the continual exploration of intuitive movements helps the mind have greater exploration of life. When viewed in person one cannot help but appreciate the dedication and craft to produce such quality pieces of original art. 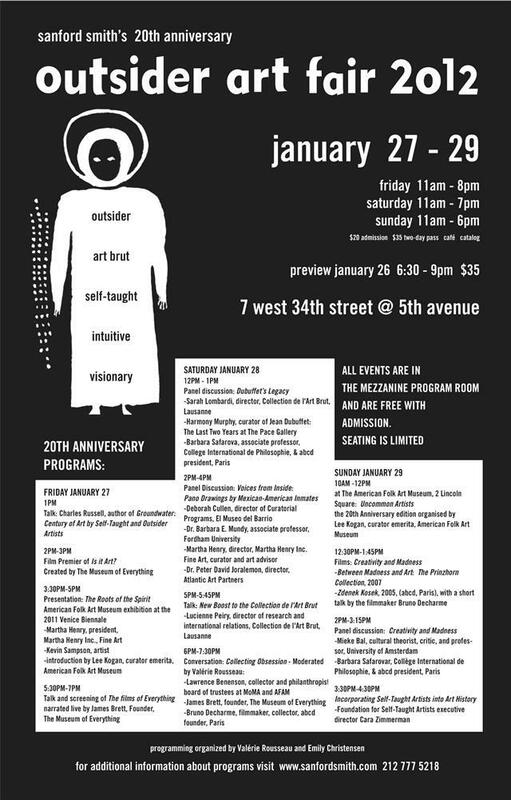 See his work at the Outsider Art Fair, NYC! is a self-taught artist, born in Argentina in 1956. He has been iving in Spain since 1980, with a home-studio on the island of El Hierro, Canary Islands. Dan’s work is a precise collage of lightweight layers of paper combined to tell a whimsical story.